A police officer who shot the Manhattan truck attacker Tuesday was praised by both New York City officials and the public for his rapid response to the threat. Ryan Nash (pictured above), 28, had been assigned for the past five years to NYPD 1st Precinct, which encompasses the square mile on the southernmost tip of Manhattan, including the One World Trade Center, Soho, Tribeca, and Wall Street, CNN reported. Police Commissioner James P. O’Neill told a press conference following the attack that the officer confronted the attacker and shot him in the abdomen. “I want to commend the response of our NYPD officer that was on post near the location who stopped the carnage moments after it began,” he said. The attacker, identified as 29-year-old Uzbek national and permanent U.S. resident Sayfullo Saipov, drove a rented truck down the West Side Highway bicycle path at Houston Street, striking more than a dozen people before ramming into a school bus. His actions resulted in the death of eight people. The truck driver then exited the vehicle brandishing what appeared to be two handguns which is when Nash, who had been in the area after responding to a 911 call from the nearby Stuyvesant High School, confronted and shot Saipov, New York Daily News reported. The attacker has since been transported to the hospital and the police said they found a paintball gun and a pellet gun at the scene. Sources told NBC they found a note in the vehicle in which Saipove pledged allegiance to the militant group Islamic State (ISIS). Dozens of people paid tribute to officer Nash on social media. 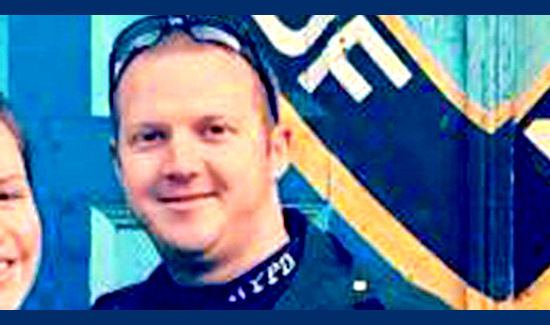 “Officer Ryan Nash and brave men and women of NYPD deserve our utmost respect and gratitude,” one New Yorker wrote.